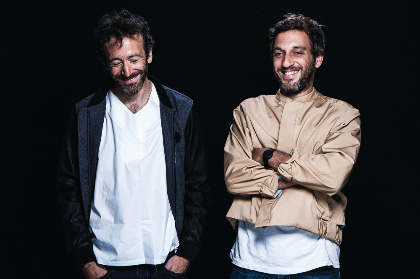 Acid Arab are Parisian DJs Guido Cesarsky and Hervé Carvalho. Their dense mix of techno and house sounds deeply infused with the sounds of the Maghreb found its genesis in a mind-opening journey to Tunisia, resulting in an experimental series of collaborations with other producers which brought forth the pivotal Acid Arab Collections compilation. Further explorations to Kurdistan, Pakistan and India continue to expand this powerfully evocative project.